Oh look, a velveteen rabbit! Lila is so beautiful that I would be unable to help myself. She would have treats all day long. Otherwise it is the end of the world as we know it. Yay SN for saving mankind - for awhile at least! 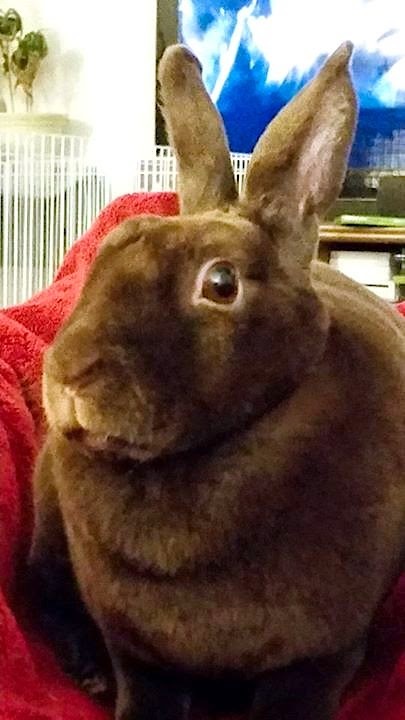 Sweet Lila, the only thing that is for sure in this world is bunny treats. What an adorable chocolate Rexy girl! Lila can Disapprove Of me any time. But I WILL have to kiss her velvety head and nosie.